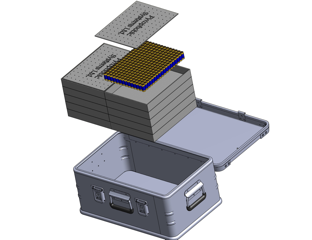 Zarges Cases collaborated with PyroPhobic Systems to develop a lithium battery transportation case for the US Navy. The Zarges LiPrevent system replaced an engineered plastic pelican case being used to transport lithium batteries to ships at sea. Although the pelican case has good mechanical strength, there was real concern that a runaway event could not be contained, presenting a Class D fire threat. Tracy Johnson of Zarges and PyroPhobic System’s Tim Riley engineered a solution that packaged Lithium Prevent lithium battery runaway containment technology with the world-renowned Zarges K470 Case. The lithium battery fire containment case protects the lithium batteries from mechanical abuse and the independently tested Lithium Prevent system offers runaway battery cascading control. The aluminum case offers a strong, lightweight structure to contain an explosive event as well as resist an external fire event. The IntuPlas, made of intumescent, composite thermoplastic panels, controls the runaway fire and prevents the battery from cascading out of control. The passive fire barrier is ready to contain a re-flash event. This useful system reduces the risk that may be encountered during handling, transportation, and storage of lithium batteries. 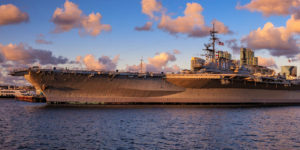 The US Navy now has a reliable runaway protection solution for transporting lithium batteries in a harsh at sea environment. 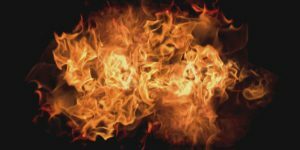 Lithium Prevent is independently evaluated and proven to contain runaway lithium ion and metal fire events over a wide range of lithium battery types and chemistries. The Zarges-LiPrevent Case is an affordable passive transportation solution that offers lithium battery fire protection wherever it is needed. Zarges Cases USA headquarters are located in Charlotte, North Carolina. The Zarges Technology Center offers in-stock cases, customization and rapid, custom cushion fabrication. 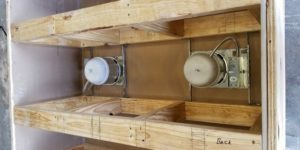 The Charlotte facility maintains dozens of product offerings that are available off the shelf, with many options ranging from casters to foam. For more complex challenges, such as transportation of hazardous materials including lithium batteries, packaging engineers are ready to develop custom solutions and to provide local support. ZARGES is ISO 9001:2000 certified and can fully support your quality requirements.